Fit Fluential Mom: 6 Foods Our Bodies Need More Of! No one likes to be on high alert when it comes to calories. In a dream world, that huge slice of German chocolate cake would only be around 100 calories, and nutritionists would suggest skipping vegetables in favor of a creamy pasta dish for dinner. Sadly, we don’t live in that world, folks, which means we need to be smart about what we put on our plates. Annoying, the challenge of making healthy choices can lead to a lot of confusion and questioning at meal time. Who hasn’t experienced the dread of wondering whether or not the bite you’re about to take is “good” or “bad” for your weight loss goal? It can cause you to look at out food options in terms of what you can’t eat. But what if you changed your mindset, and looked instead at what you can eat? There are tons of delicious foods you should be eating more of—not less! And you might find adding more of the healthy choices to your eating plan, will help you naturally eat less of the processed, sugar-laden, carb-loaded, fatty foods you don’t need. Here, Megan Roosevelt, R.D., L.D., founder of Healthy Grocery Girl, reveals 6 nutrient-dense foods you can load up on. 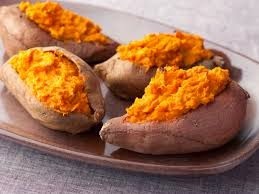 Sweet Potatoes “Fiber helps us feel full and satisfied, as well as manage blood sugar levels,” says Roosevelt. Consider the vitamin and mineral benefits, including potassium and vitamin C, and you should be opting for treat-like sweet potatoes, more often. You can bake them, mash them, or serve them up as sweet potato fries, just like your classic white potato. Avocados Avocados are brimming with benefits. “Protein, fat, and fiber are the three key nutrients that help us feel full and satisfied,” says Roosevelt. 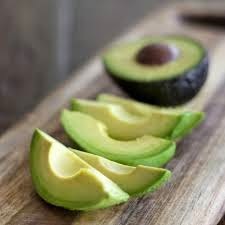 “Healthy fats in our diet also support the absorption of fat-soluble vitamins.” Next time you’re tempted to use sour cream, add a quarter of an avocado to your dish instead. Whipped avocado has a similar texture, but offers more healthy nutrients. 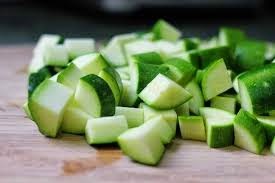 Zucchini You can swap in zucchini as a base for many recipes—from fries to brownies. Roosevelt’s favorite switch is for pasta. “Use a julienne peeler to make noodle-like strips, and you’ve got a low-calorie, low-carbohydrate option that’s also nutritionally dense and contains fiber,” she says. 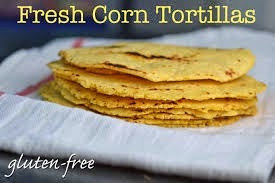 Corn Tortillas White flour causes your insulin levels to rise, which promotes fat storage. Corn on the other hand contains more fiber, so you’ll stay full after noshing on that veggie wrap or taco. “Fiber delays digestion and regulates the release of glucose from our food into our bloodstream, helping us avoid blood sugar spikes and crashes,” says Roosevelt. Sliced Whole Fruit There’s no reason not to eat more fruit, says Roosevelt, who again points out that it’s all about fiber—and flavor. 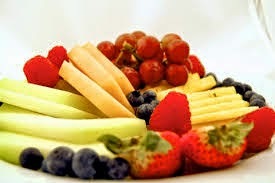 “Feeling full after meals and snacks is key for weight loss. If we’re always hungry, it’s hard to lose weight,” she says. Her suggestions: Use fruit slices in sandwiches and wraps instead of jam or jelly (try PB and apple, or almond butter and pear), and toss fruit slices into your water for a hint of flavor that will get you to drink more. Dark Chocolate Need a sweet treat? Don’t deny yourself now, only to binge later. 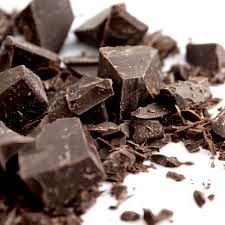 A one-ounce serving of dark chocolate is about 150 calories, and it contains flavanoids that have been shown to improve circulation and heart health, says Roosevelt.